Anne Fitzgerald is an intellectual property and e-commerce lawyer. Anne has a JSD degree from Columbia University, New York (2002), a LLM degree from Columbia University (1992) and a LLM (International Business Law) from the University of London (UCL, 1989). She graduated in law from the University of Tasmania (LLB(Hons) 1984 and Grad. Dip. Welfare Law 1987), after first completing a social work degree at the University of Queensland (BSW 1977). She is a member of the Queensland Bar and has also been admitted to legal practice in Victoria and Tasmania. Anne has an extensive background in the areas of Intellectual Property Law, Internet and E-commerce Law, International Trade Law and Natural Resources Law. 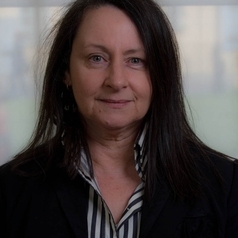 Since 1991 she has taught subjects in these areas at several universities (including QUT, University of Tasmania, Macquarie University and Southern Cross University). Most recently, she was a Professor of Law at QUT Law School where she taught (Patents and Biotechnological Inventions; Patent Law & Commercialisation; Intellectual Property Law; Copyright Law), supervised PhD/JSD students and ran various research projects. From 2005, Anne worked on the Government Information Licensing Framework (GILF) project in collaboration with Queensland Government legal and information management experts. Since 2007 Anne has led Creative Commons Australia’s engagement with the Australian public sector and has overseen the adoption of CC licences as the default copyright licence for public sector materials by the Commonwealth and several State governments. Anne has served terms as a member of Australia’s two principal federal government-appointed standing advisory committees on intellectual property: she was a member of the Advisory Council on Intellectual Property (ACIP) which advises IP Australia from 1996 to 1999 and, as a member of the Copyright Law Review Committee’s Expert Advisory Group (1995 to 1998), participated in the CLRC’s major review (“the simplification reference”) of the Copyright Act. She was a consultant to the review of Australia's innovation system (“Venturous Australia: Building strength in innovation” (2008)) and was commissioned by the Government 2.0 Taskforce to provide a consultancy report on digital copyright issues (see “Engage: Getting on with Government 2.0” (2009)).